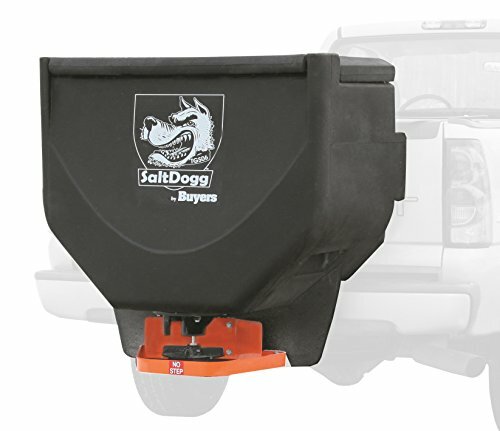 The SaltDogg TGS06 tailgate commercial spreader is ideal for 3/4-Ton and 1-Ton trucks and built with a low profile designed for an unrestricted view . Carry up to 750 lbs. 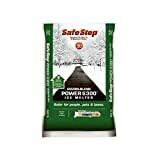 of either rock salt and/or sand in the durable polymer hopper which can spread material up to 30 feet using the the manual open/close gate with gravity feed. 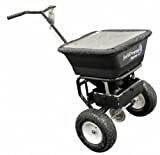 The spreader mounts easily to any 2" receiver hitch and includes a universal stake pocket attachment. Equipped with a 12V DC motor protected in a sealed chamber inside the hopper to give you more than enough power to get the job done. Handles molded into the hopper makes mounting easy.